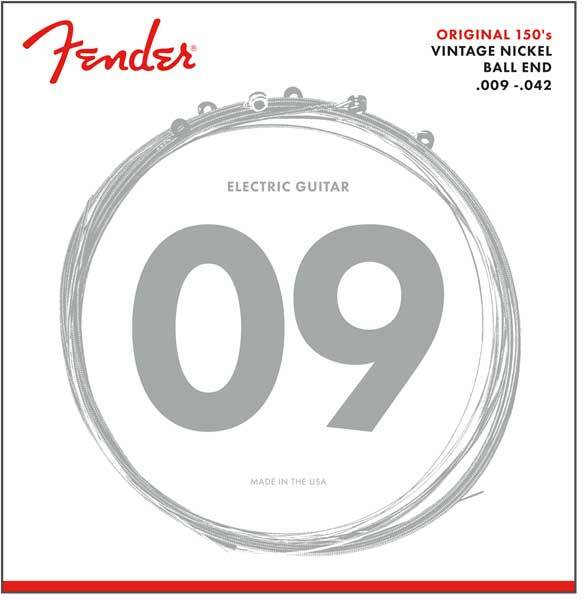 Fender®Original 150'sPure Nickel wound strings deliver a smooth feel with reduced finger noise. The tone is rich and warm with abundant harmonics. Great for Blues, Jazz, and Classic Rock. Nothing beats an original Fender string. Built to recapture the sound of Pure Nickel wound strings, prepare yourself for the warm, full tone found only in pure Nickel strings.